Apple’s Magic Trackpad is a great way of getting some of the magic of multi touch on a desktop Mac, like an iMac or Mac mini. The only real problem with the Magic Trackpad is the ludicrous price Apple charges for it. 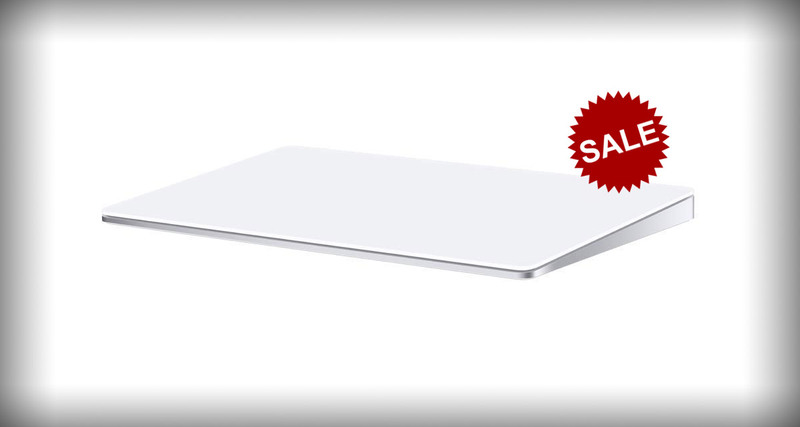 Right now you can save $15 on your very own second generation Magic Trackpad, making it a less brain melting $114. The magic of the Magic Trackpad, if you’ll pardon the pun, is the fact that it takes what is generally accepted to be the best notebook trackpad and brings it to the desktop, complete with all of the gestures that offers. With four force sensors beneath the trackpad’s surface, you can enjoy all of the multi touch gestures that makes navigating macOS so easy, especially if you’re a heavy user of Spaces. The Magic Trackpad 2 comes with a 30% larger surface than the previous model, and it automatically pairs with your Mac so as to do away with the usual Bluetooth battles that we’re all so familiar with. We’re big, big fans of Apple’s trackpads and the great thing about them is the fact that you can ditch a mouse, which is something sufferers of things like wrist pain will undoubtedly enjoy. You don’t have to worry about batteries either, with a built-in rechargeable battery handling all of your trackpad-ding needs. Deals on the Magic Trackpad don’t pop up all that often, so if you want to get your own trackpad we suggest getting that order in sooner rather than later. As rare sale is not happened with apple so its offering rare discount. Apple going to be extinct soon.